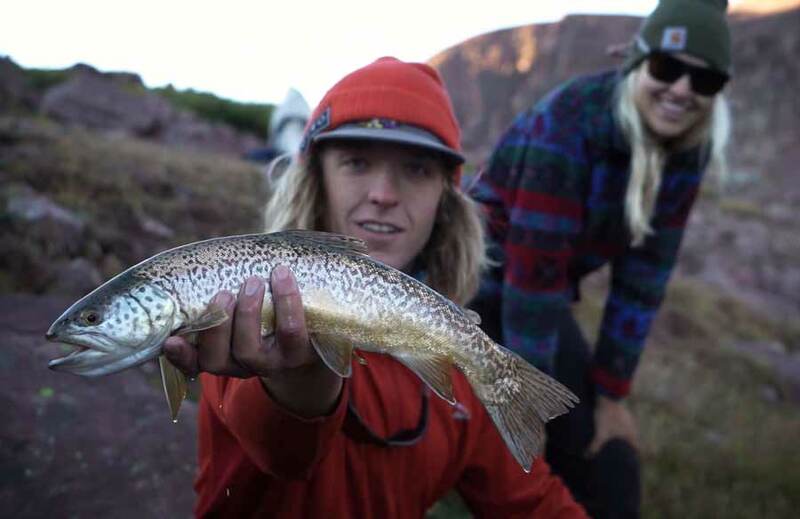 Utah’s New Cutthroat Slam Program is a Blast! The Utah Cutthroat Slam requires anglers to catch all four species native to the Beehive State. Having grown up in New England, I did not lay eyes on a cutthroat trout until I was twenty-eight years old. During a week of training to be a fly-fishing guide in Montana’s Paradise Valley, I . . .
My first Colorado River cutthroat was also my largest fish of the trip. On our way to our final destination in our quest to complete the Utah Cutthroat Slam, we picked up Trout Unlimited’s Intermountain Communications Director Brett Prettyman at his home in Salt . . . The cool vermiculations against a buttery background made this tiger trout particularly beautiful. Will Taylor—guide and owner of The Fly Shop Company of Blue Ridge, Georgia—sent in this great photo along with a note: “James Wistrom of Louisville made a trip to Blue Ridge and . . .
Tiger trout are not native in the southern Appalachians, but they make very cool trophies. Will Taylor—guide and owner of The Fly Shop Company of Blue Ridge, Georgia—sent in this great photo of client Lesa Varie, who landed a gorgeous tiger trout on a 3-weight while fishing. . .
What a great way to end the season before ice takes over! Former Trout Bum of the Week Spencer Higa sent in this shot of a real trophy, along with a note: “Here’s a picture of one last tiger trout caught at Falcon’s Ledge before the lakes. . .
A trout like this one is worth battling a little weather. Here’s a couple photos of Tacky Fly Boxes co-founder Ki Aston with a beautiful tiger trout caught in eastern Utah. We battled rain all day but. . .